The Year of the Dog is looking more like the Year of the Vegetarian for Sydney diners, with one of the rising stars of the US culinary scene opening a plant-based restaurant next month in Sydney. 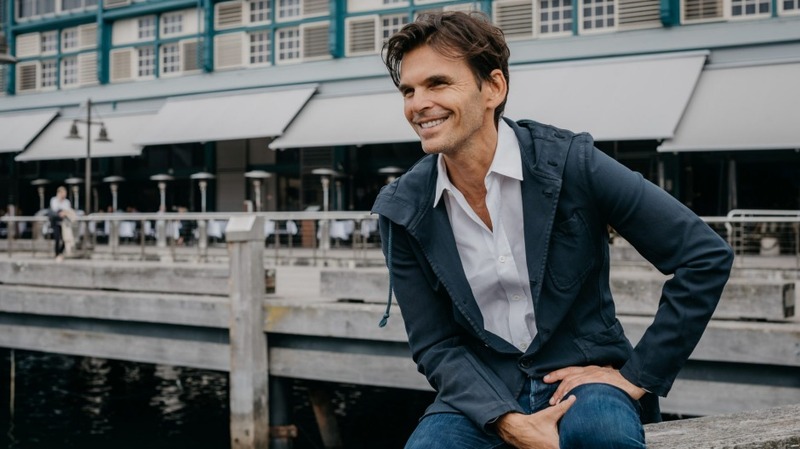 Matthew Kenney, the chef with the Hollywood complexion and a burgeoning food empire, will open Alibi, at the Ovolo hotel in Woolloomooloo. Kenney was in spotted in Sydney last month, we tracked him down back in his Los Angeles restaurant finalising the launch menu for Alibi. It's confirmed that the menu will include kimchi dumplings with sesame and ginger foam, kale pesto with almond ricotta and a hibiscus strawberry cheesecake with lime curd. Kenney, who is cited as a top influencer of US food trends and has a growing empire of venues, including in NYC, had a curious route to plant-based eating. A graduate of the French Culinary Institute, he says he grew up hunting and fishing. "I remember getting dragged along to a vegan restaurant in New York, it was amazing experience. I really thought that this is the future of food," he says. The chef says he had the making of a lifestyle switch. "I liked yoga and meditation and used to get excited walking into a health food store," he says. Kenney, who has a number of different concepts – including a plant-based pizza restaurant – says Alibi will be more closely aligned with the food of his flagship Plant Food + Wine restaurant, on hip Abbot Kinney Boulevard, at Venice Beach. The winner of Food and Wine magazine's best new chef award, has already been foraging around Sydney and will be back in town next month for Alibi's launch. "Sydney and Los Angeles have a lot of similarities. Not just food, but the sense of style and design."